Cheap Strollers: How to Save Big! Strollers are a baby necessity; it’s hard to get around without one. Unfortunately, strollers can be pretty expensive, and a top of the line model can be in the hundreds of dollars! However, you’ll be glad to know that you don’t have to break the bank to get a good stroller; cheap strollers are available that are just as safe and good as expensive models! Want to save big on a stroller? These mom picks will help! 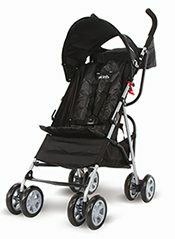 Cheap Strollers: A $50 Pick! Yes, it’s possible to get a great stroller for only $50! The First Years Jet Stroller is a budget stroller that packs a lot of value. It’s a light-weight stroller good for children up to 50 pounds, and uses a 5-point harness for the restraint system. 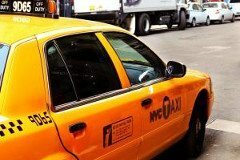 It has a canopy for sun protection and swivel wheels which make it easy to maneuver. It also has a reclining seat to make for a comfy ride if your child falls asleep, and it’s made of strong and durable mesh. The back wheels have a safe locking mechanism, and there is a convenient storage compartment below the stroller seat (it’s perfect for fitting a diaper bag!) and an upper-storage area for water bottles, keys, or anything else small enough. Oh, and there’s also a cup holder. It easily folds up for compact carrying, and it’s designed to be able to do so with just one hand. All in all, this is a wonderful stroller for the money: you can’t really go wrong! You might think that such an inexpensive stroller might be cheaply made, but this one is surprisingly solid. Highly recommended. Price Alert: As of Sunday, Apr 21, 2019, Amazon has the First Years Jet Stroller on sale with FREE returns. Click here to see it! 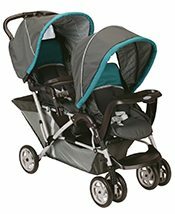 Cheap Double Strollers: $100 Pick! Double strollers tend to be more expensive than single strollers, but you can get a pretty good one for just $100: the Graco DuoGlider Classic Connect Stroller is an awesome double stroller that a lot of parents love! Both seats can accommodate children up to 40 pounds, so it’s perfect for either twins or a growing family of children of different ages. Both seats recline, and trust me, you’ll appreciate being able to keep your sleeping children comfortable while you’re out with them. There are canopies for both seats, as well as toddler trays for toys and snacks, as well as footrests. The child in the back is slightly elevated, so both of them get a view from the seats. The DuoGlider also folds up easily with one hand, which is convenient. The front wheels swivel, making for a surprisingly easy-to-maneuver double stroller. It’s lightweight and very sturdy and safe, which Graco is known for in their baby products, too. 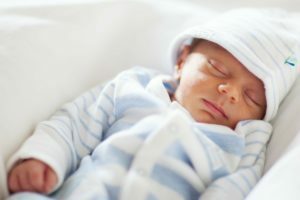 It’s about the perfect size to make it comfortable for both children while still maintaining a small enough profile to fit through most spaces. Underneath the stroller seat is a storage area for a diaper bag or other goodies. Both of the seats have toddler trays, and there is a parent tray which is, I must say, awesome! Also awesome is that it’s fully compatible with the Graco Snugride 35 car seat in both spots, meaning if your babies fall asleep in the car, you can put them directly into the stroller without waking them! Of course, these car seats are about $100 each themselves, so if you’re looking for a cheap double stroller solution, this may not work in your budget, but if it does it’s very convenient. We really love this double stroller, and it’s proof that you don’t have to spend a ton of money to get a quality, affordable stroller. Price Alert: As of Sunday, Apr 21, 2019, Amazon has the Graco DuoGlider Classic Connect Stroller on sale with FREE returns. Click here to see it! 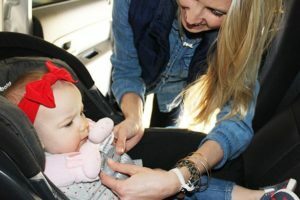 FAQ: Why Do Car Seats Expire? 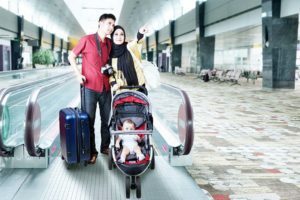 Airline Travel With a Stroller: What Should I Know?